Multitalented and highly acclaimed music star Tierra Whack has indeed come a long way. Her career as a rapper, singer, and songwriter dates back to her teenage years when she performed under the stage moniker, Dizzle Dizz. She ultimately reverted to her birth name in 2017 and the following year, she released her first studio album Whack World. The album was ranked among the top 20 albums of 2018 and also earned the singer widespread critical acclaim. Among other highlights of her blossoming career, the video to her 2017 single Mumbo Jumbo was nominated for the Best Music Video Award at the 61st Grammy Awards. She was born Tierra Helena Whack on the 11th of August 1995 in Philadelphia, Pennsylvania. Tierra began writing poetry as a young child and growing up, she also became an exceptional spoken word performer. While in high school, she and her friends got to perform the finale number from the movie Sister Act 2: Back in the Habit during a school vocal showcase and she took the rap verse. She schooled at The Arts Academy at Benjamin Rush and there, she was a vocal major. Tierra was also one of the few black students in the school. She later completed her high school education in Atlanta, Georgia after her family moved there. She took on the stage name Dizzle Dizz while still a teenager and in 2011, she featured in a freestyle video produced by the Philadelphia-based music crew, We Run the Streets. In addition to collaborations, the talented youngster also released her own tracks one of which was titled “Dizzy Rascvls”. She moved with her family to Georgia and after spending a few years there, she returned to her native state of Philadelphia in 2015. Back to her home city, she reconnected with some of her collaborators one of whom was a sound engineer and music producer named Kenete Simms. After two more years of being in the underground music circle, the talented music star was eventually ready for stardom in 2017. She readopted her birth name “Tierra Whack” as her stage name in March 2017 after which she dropped several singles including “Toe Jam” and “S— Happens”. One of Whack’s biggest hits for 2017 was the hip hop track “Mumbo Jumbo”. The song was accompanied by a music video which featured the young rapper performing its unintelligible lyrics while wearing a mouth prop. She equally got to tour with fellow rapper Flying Lotus among other highlights of the year 2017. Having released a handful of singles over a relatively short period of time, Tierra Whack decided to release her first body of music in May 2018, a full-length album titled Whack World. The 15-track album was mainly produced by her longtime collaborator Kenete Simms with contributions from other producers like Nick Verruto, J Melodic, RicandThadeus, DJ Fly Guy, and Scott Styles. The album was met with sterling reviews from critics particularly for the unusual fact that each of the 15 tracks was exactly 1 minute long. Whack World was ultimately ranked among the top 20 albums of 2018 by Billboard, Complex, Pitchfork, and several other magazines. Also in 2018, Tierra Whack performed alongside fellow rapper 6lack on the latter’s headlining world tour titled ‘From East Atlanta with Love’. She ultimately traveled to Tokyo, Japan in October 2018 on what has been termed an artistic sabbatical. Upon her return from the hiatus, she has gotten to work with music superstars Meek Mill and Childish Gambino. She is billed to perform at several major music festivals including the 2019 Coachella Music Festival. Tierra Whack has a small family made up of her mother and two siblings. Apparently, she is estranged from her biological father and was raised by her mother. Interestingly, the talented rapper prefers to keep her mother off prying eyes of the media even though she makes mention of her very often during her interviews. It could be assumed that she wants to keep her family away from the harsh scrutiny that comes with fame so that they can still maintain a normal life. 1. 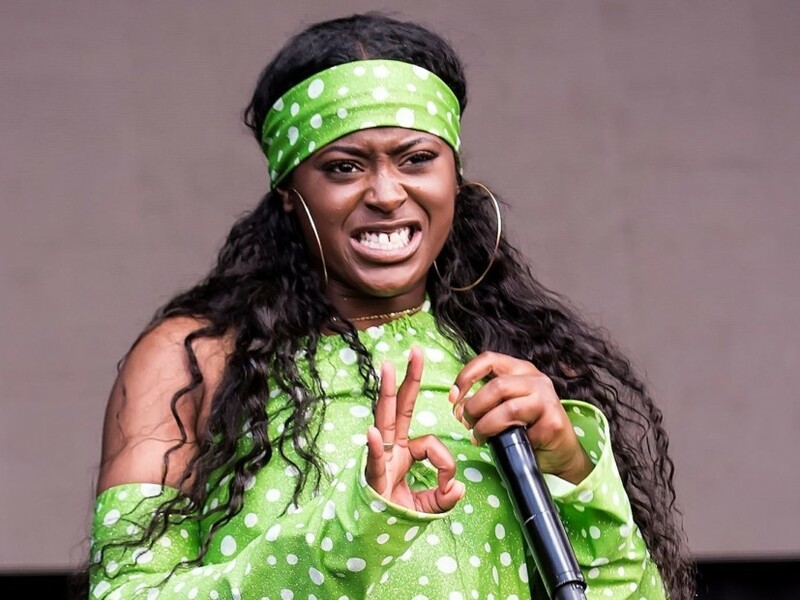 Starting from February 19, 2019, Tierra Whack has been releasing one song per week in the build-up to her performance at 2019 Coachella Music Festival. Some of the singles she released include “Only Child”, “CLONES”, “Gloria”, “Wasteland” and “Unemployed”. 2. Whack is known to have a severe allergy to insects. This fact forms the basis for the music video of her 2018 track “Bugs Life”. 3. While an encounter with bugs could send her to the emergency room, Tierra Whack has no problems with pets. The talented rapper owns a cat named Starkey.